Indeed, speeches are very powerful as they can control the emotions of all and sundry, especially those on social media. No wonder the bible emphasizes the powerful nature of the tongue. Contrary to the general belief that the social media only serves as a means through which people can get and share information, they also serve as avenues through which people can backlash, denigrate, criticize and appraise others and as well get backlashed, denigrated, criticized and appraised by others. In Nigeria, the social media have adequately performed the aims and functions of a satire as Nigerians have continuously used them as vehicles to showcase their dissatisfaction on the attitude of an organisation, individual and a government. 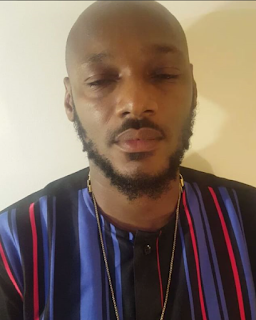 Some days ago, on social media, the leading icon of one of the forms of the poetry genre of literature (music) in Nigeria, 2face Idibia, announced his nationwide protest on February 6, 2017, against the Buhari-led administration due to the shattered state of the nation's economy under its watch. His speech and decision spurred the interest of other celebrities, affected and well meaning Nigerians as they decided to join him in the protest. The social media were never left out as they were bombarded with numerous applaudable comments by its users (mainly Nigerians) on 2face's decision although few Nigerians countered it. However, on Saturday, February 4, 2017, the singer told the general public and his staunch supporters that the protest would no longer continue due to security reasons. I was totally startled when I saw this musical icon (2face) who was once celebrated by so many on social media being directly and indirectly insulted by the same people on the same platform irrespective of his social standing. “Dear Nigerians, after due consultations, it has become clear that the one voice protest scheduled to hold in Lagos and Abuja on Monday, February 6 is under serious threat of hijack by interests not aligned with our ideals. "The point I am intent on making is not worth the life of any Nigerian. It is motivated by the need to negotiate a better deal for the ordinary Nigerian. "I therefore announce the cancellation of the planned protest. May God bless you all, may God bless Nigeria." Such an overwhelming amazement gradually faded away when I began to realize that the social media are strong agents of societal change. It is through the social media that the Buhari's administration was ridiculed and portrayed as a deceitful government, characterized by empty promises. It is through the social media that the name of the minister of Information, Lai Mohammed, was changed to "Lie Mohammed" as a result of his untrue statements/speeches. In sum, the social media is greatly controlled by the speeches of members of the society, especially the prominent members. Therefore, we should learn to speak wisely in order not to be trending shits but trending celebrities on social media.